Harold Bell Wright Estates, located near Speedway Boulevard and Wilmot Road in Tucson, has a lot of local history. If you’re like me you’ve probably wondered who Harold Bell Wright was and why does his name grace this neighborhood? Harold Bell Wright was an early 20th century fiction author. He wrote 19 novels between 1903 – 1942. He is said to be the first American fiction author to sell over 1 million copies. 21 movies were based on his stories including The Shepherd of the Hills (made into a movie starring John Wayne), and The Winning of Barbara Worth (one of Gary Cooper’s first movies). Wright suffered from tuberculosis and came to Tucson for his health, as many people did then. After living near the downtown area, he purchased a 160 acre parcel of land near Speedway & Wilmot in 1920. Wright liked the desert and wanted to get away from the busy city life. From every street and corner in Tucson, we see the mountains… But of all the peaks and ranges that keep their sentinel posts around this old pueblo there are none so bold in the outlines of the granite heights and ragged canyons, so exquisitely beautiful in their soft colors of red and blue and purple, or so luring in the call of their remote and hidden fastnesses as the Santa Catalinas. After extensive planning, his home was finished in 1922. In the 1920’s his home was 5 miles away from the edge of town. At the time grass lawns were all the rage, and the desert was thought of as a wasteland. Wright nixed that notion and purposely maintained the natural desert landscaping around his home. He even brought in many new species of cacti into his garden for display. Wright was an important figure in Tucson, committing his time and money to local causes. He even persuaded Hollywood to have the movie premier for “The Mine with an Iron Door” at the Rialto Theater in downtown Tucson. Wright moved to California in 1935 and sold his Tucson Estate in 1936. Wright died in California in 1944. In 1950, the land was subdivided into 1/2 acre parcels and turned into the Harold Bell Wright Estates with the streets named after his books. In 2011 the neighborhood was listed on the National Register of Historic Districts. This designation can save a significant amount in property taxes. 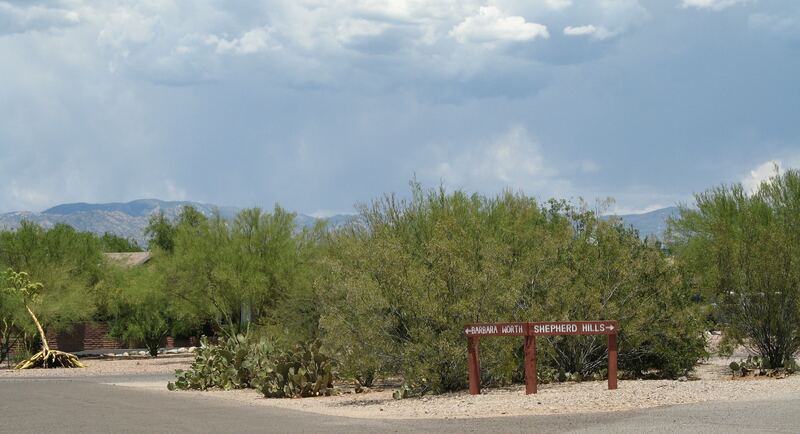 Now, the Harold Bell Wright Estates neighborhood is highly sought after due to its large lots, natural desert landscaping and convenient location in the middle of town. Wright’s home is still stands in the center of the neighborhood. 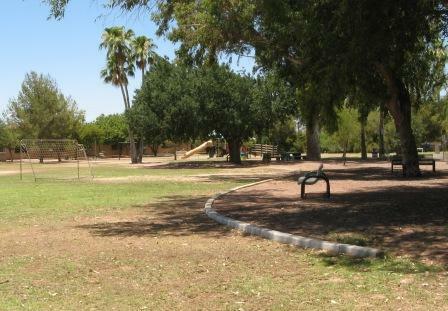 There is a small neighborhood park at the southwest corner of the neighborhood that has a playground, benches & plenty of grass for soccer or tossing a frisbee. The neighborhood is in the Tucson Unified School District and is serviced by: Sewell Elementary, Booth-Fickett Middle, and Rincon High schools. The Wilmot Library and St. Joseph’s Hospital is within walking distance.